Chief T.E. Sashko (retired) is a Vice President with GovHR USA, and is a 38-year veteran of the fire service. He began serving in the fire service as a paid-on-call firefighter/paramedic with the Village of Buffalo Grove, IL in 1979, retiring as the Chief in 2007. He was then selected to serve as the Fire Chief in the Village of Mundelein, IL from 2007 until April 30, 2015. He also served as the Emergency Management Coordinator for both municipalities while fire chief. Chief T.E. Sashko served as the Executive Director for the Illinois Fire Chiefs Association from 2015 until 2017. He has been a member of the Lake County Board of Health since 2003 and was honored to be elected as the President in November of 2013 and continues to function in that role. The Lake County Health Department is a $75 million/year health care and prevention provider employing over 960 employees in Lake County, IL. 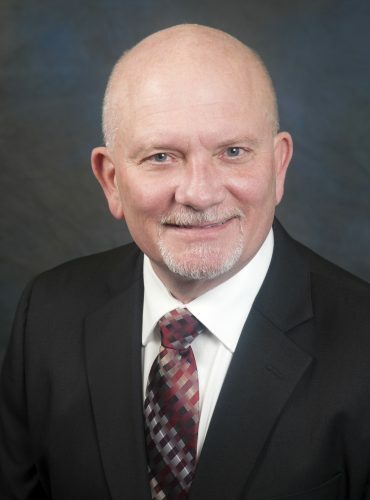 During his tenure with the Board of Health he has served on the Environmental Health Advisory Committee, the Budget Committee, the Executive Committee and support for the Lake County Veterans and Family Services Foundation. He is a Board Member for Operation North Pole, a 501(c)3 charity providing special programs to children suffering from cancer and other life-threatening diseases as well as other outreach programs. Additionally, he continues to serve as a member of the Greater Chicago Red Cross Heroes Program since 2004, which honors every day heroes each year in the Chicagoland area who have made a difference in the lives of others. He also chairs the Blood Donation Committee for the Village of Mundelein working with LifeSource Blood Services and was honored by the Illinois Association of Blood Banks for continued efforts and innovation raising the awareness for blood donors in 2014. He has held numerous executive officer positions including President of the Illinois Fire Chiefs Association, President of the Metropolitan Fire Chiefs Association, President of the Lake County Fire Chief’s Association and Chairman of the Lake and McHenry Counties Specialized Response Teams as well as being the Chair of the Illinois Fire Chiefs Foundation Fund Raising Committee. Chief Sashko was recognized by the Illinois Fire Chief’s Association as the “Chief of the Year” for 2006 and was also a nominee for the Chief of the Year for the International Fire Chiefs Association in that same year. He also was recognized as the Alumni of the Year from Buffalo Grove High School in 2002 and Firefighter of the Year award from the Grayslake, Mundelein, and Libertyville Exchange Club of America in 2011. Chief Sashko has an extensive background in labor relations and has negotiated numerous contracts successfully. Through his responsibilities and focus on the future of the fire service and public safety, he has been active in legislation development, management, negotiations and representation at the local, county, state and federal levels both in public safety and public health. Throughout the past 10+ years he has been active in providing a balance and professional approach to critical issues governed within Illinois. He was instrumental in creating succession plans for both municipalities he has served to provide the necessary guidance and direction for the development of personnel. He broadened initiatives that provided fiscal balance, while maintaining high-level service profiles within the communities he served. During his career, he has coordinated various strategic plans and operational plans as well as employee performance rating systems for current performance and predictive performance for personnel. Chief Sashko was one of the originators of the now successful Lake/Cook Critical Incident Protocol promoting public and private partnerships in planning and preparedness for emergency management coordinated by Michigan State University. He also chaired a regional training facility shared between four governmental agencies and expanding the footprint of opportunities and programs during his tenure as chairman. Community outreach and engagement were two predominant areas of focus throughout much of his leadership career. Chief Sashko holds a management degree from Southern Illinois University with honors, numerous state certifications and is a state certified Fire Officer III in Illinois.